Right outside the Airport and just left to the Tourist Information office and Blue Ice Café, you’ll find the Narsarsuaq Museum. The 30 Danish Crowns entrance fee can also be paid in Euro or US Dollars. There's no one to collect this entrance fee: you put the coins in a box just beside the museums's entrance and take your ticket. Like many things in Greenland, this is based on trust: one could get in without a ticket, but you wouldn't. The museum is located on a building that was part of the Bluie West One Airbase, a USA military base established during World War II. The museum offers a good introduction to the history of Greenland. I visited it before leaving Greenland , but I would suggest you to visit it on arrival if you can. It’s like several museums in one: it has sections about history, fauna, and the military use of this place. Nevertheless, everything is told from a European point of view, little is said about the Inuit, the original inhabitants of Greenland. The first room is about the arrival by the Vikings, with several paintings representing the story of Erik The Red. The second room is about the daily life of the new settlers, regarding farming and haunting. It also has displays on religion (with pictures from the unearthed body of a Bishop of Garðar) and the way their houses were built. Next, there’s a hall, with very interesting boards on Greenland’s history. There’s one board about Columbus, commonly thought to be the one who discovered America. The museum makes clear that the Norse went there before, but if their settlements didn’t last it’s because they were nock backed by the money of the royalty. There’s a small room on Greenland’s fauna, displaying mainly dissect birds like gulls and an eagle. There’s also an arctic fox and a few posters on Greenland’s flora. One room displays more joyful things from the daily life of the soldiers, like gambling machines (still with old Danish Crown coins) and old fashioned bottles of Coca Cola, 7Up and other well known brands. There is a nice collection of airplane pictures that were used at the base, including B-26 Invader, B-29 Superfortress, Dornier Wal and Catalina. You know I love planes so I was crazy when visiting this place! One room has displays on the hospital, mostly pictures from the demolished building, but also a hospital bed. 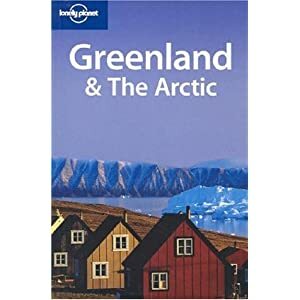 Discover Greenland with Lonely Planet Guides. The last room tells the story of the establishment of the Bluie West One base in 1941, with some impressive pictures of the arrival of the soldiers and the construction of the airport and the adjacent buildings. After this visit, my trip to Greenland was over so I went to the airport to take my flight back to Iceland. Click here if you want to see some pictures of Greenland from the air. To get directly to Iceland, click here.